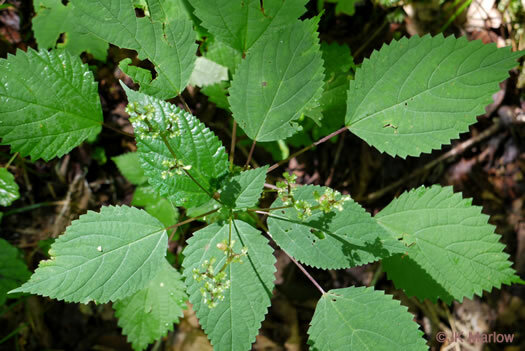 Often forms the dominant herbaceous layer in rich cove forests by midsummer, per Wildflowers & Plant Communities of the Southern Appalachian Mountains and Piedmont. 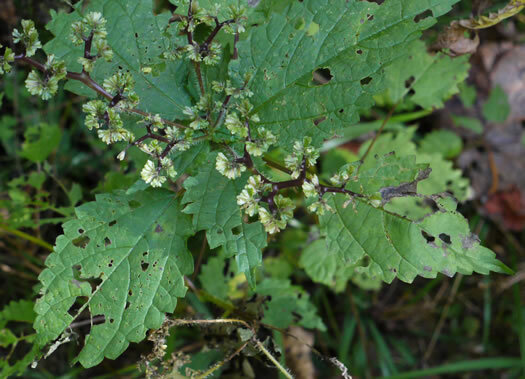 Leaves egg-shaped and coarsely toothed; stem bristly with stinging hairs, per Newcomb's Wildflower Guide. 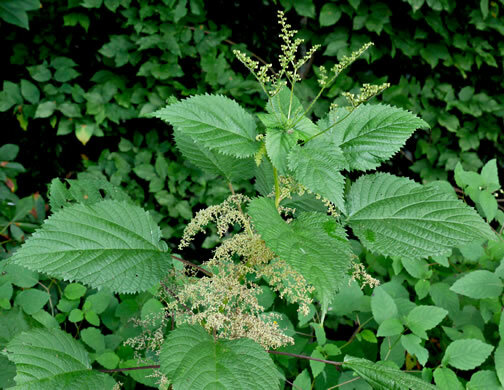 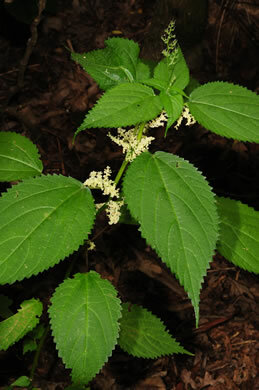 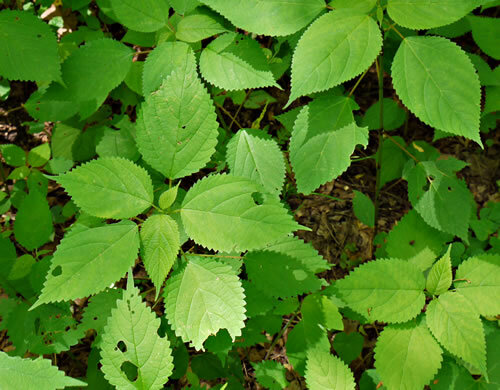 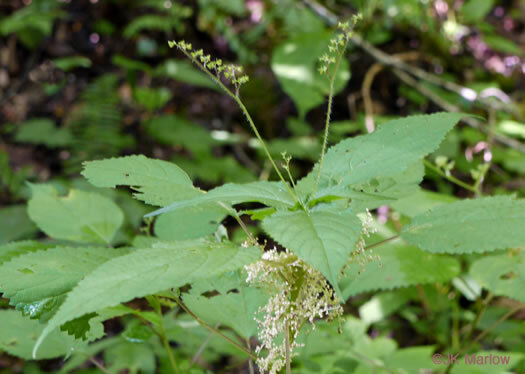 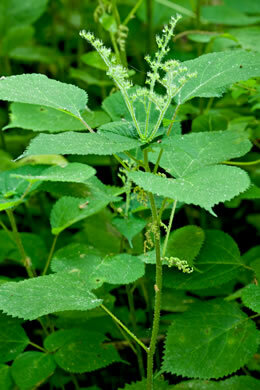 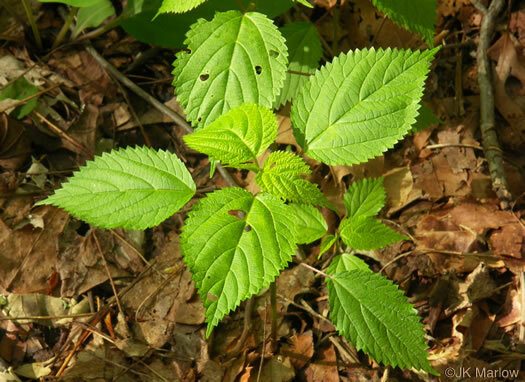 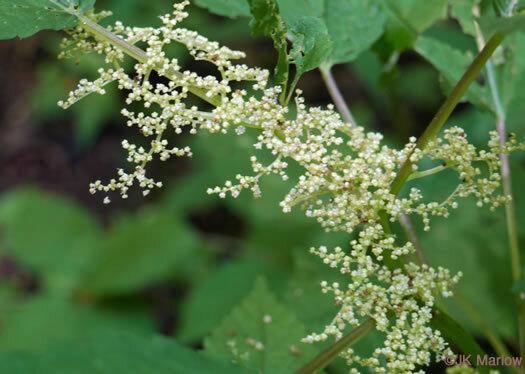 Leaves alternate, broadly ovate, sharply toothed, 3-6" long, per Wildflowers of Tennessee. 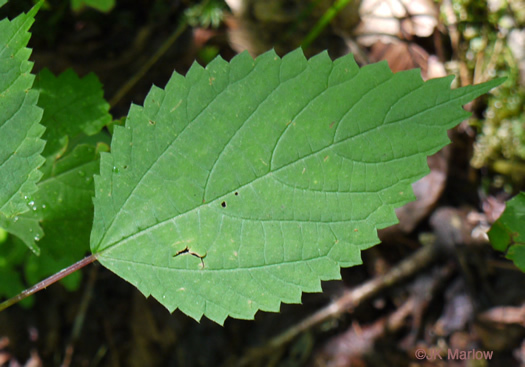 Achenes crescent-shaped, pendulous on winged pedicels, per Vascular Flora of the Carolinas.